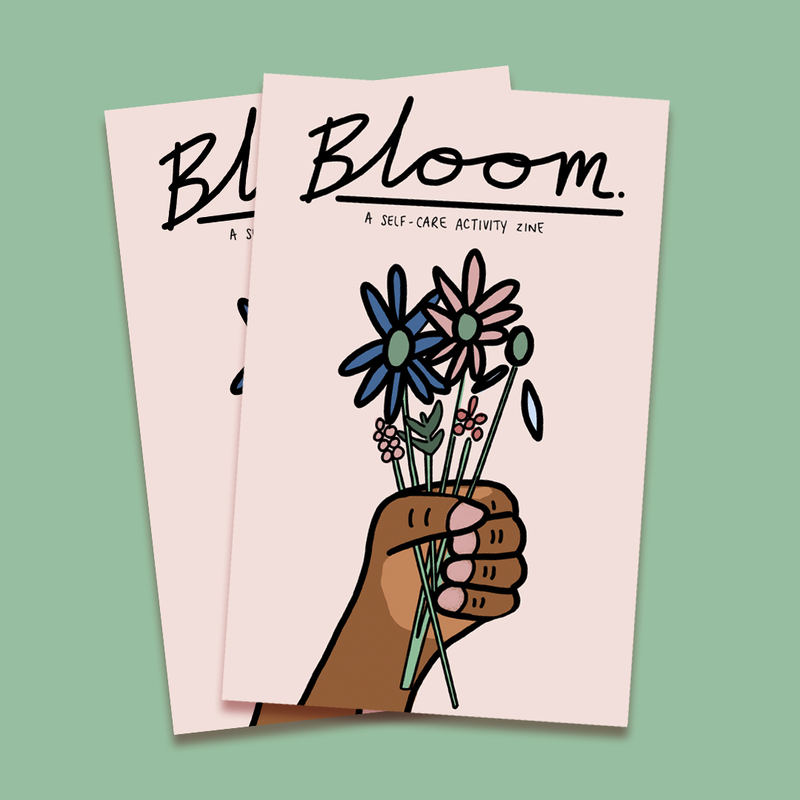 Bloom self-care activity zine provides you with a starting point to integrate or enhance your self-care practice. Includes art activities and ideas to try. The goal of this zine is to provide you with a starting point to integrate or enhance your self-care practice. It includes activities such as coloring pages, DIY affirmations and self-care ideas. You can grow. You can bloom and thrive. Everything you need is already within you. You have the ability to become who and what you want to be and you don’t need any special tools to do it. It starts with getting real about self-care and what that looks like for your personal journey. Written, designed and illustrated with love by Angelica Marie. This zine was born out of my love for using art and creativity for healing. My hope is that it will inspire you to take time each day to do something to nurture your soul and spirit.